The Scots Magazine is nominated at The Drum's Online Media Awards - D.C. Thomson & Co. Ltd. The Scots Magazine (the oldest magazine in the world still in production!) has been nominated for Best Twitter Feed at The Drum’s Online Media Awards. 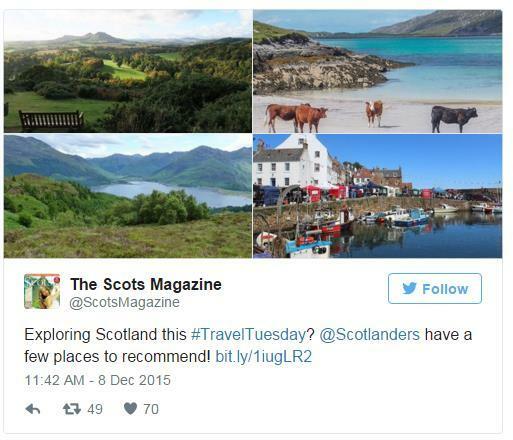 The Online Media Awards ‘identify the cleverest, boldest and most original purveyors of news and views from around the world’ and have shortlisted @ScotsMagazine for Best Twitter Feed alongside five others including @BBCBreaking and @Indy100. 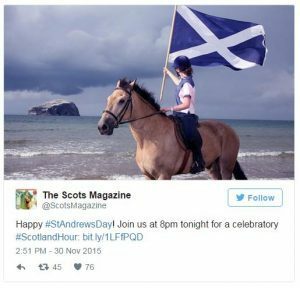 Over recent years The Scots Magazine team has undertaken an editorial overhaul – in print and online – to reposition the magazine for a contemporary readership. 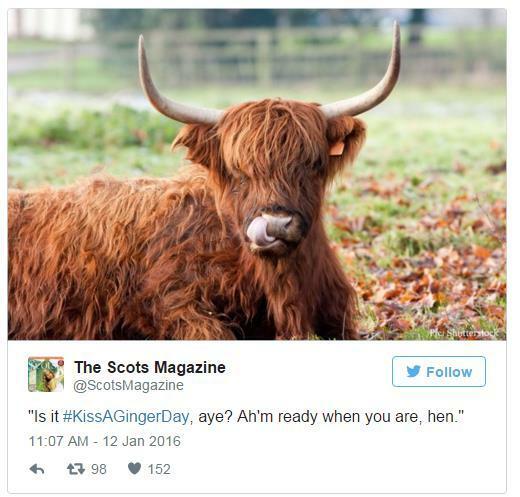 The Scots Magazine Twitter feed has been used to cement the brand’s place at the heart of Scotland’s cultural life. Twitter has been integral to establishing an online “personality” for the magazine. The account is now recognised as one of the most authoritative on Scottish culture. The Scots Magazine has been using Twitter to not only promote relevant content, but also to encourage interaction between followers. In September 2014, The Scots Magazine had 6,000 Twitter followers. Their digital strategy has doubled that figure – organically – in 18 months, creating a highly-engaged social media community, with monthly impressions of between 175,000 and 225,000. Robert Wight, Editor of The Scots Magazine, said, “This nomination is quite an honour and I’m very proud of our whole team – this is fantastic recognition of their hard work. There’s something very pleasing in the oldest magazine in the world being nominated in a new media category – it’s really symbolic of the journey we’ve made over the last couple of years.